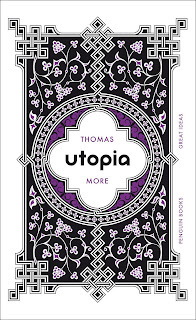 I have always wanted to read Thomas More's classic Utopia, and I'm pleased to finally have read it this year. Like most people, I knew Utopia to represent the ideal or perfect society but didn't know much more about the structure of Thomas More's classic. It's hard to believe Thomas More was born over 500 years before me, and yet his work has endured and is still relevant to us today. Published first in Latin in 1516, I was surprised to learn that Utopia wasn't published in English until 1551, which was sixteen years after Thomas More's unjust execution for treason. Utupia is a short novel, containing only 135 pages - and is broken down into two sections, Book One and Book Two. "a detailed account of it from every point of view, geographical, sociological, political, legal - in fact, tell us everything you'd think we'd like to know, which means everything we don't know already." Book Two is the detailed account of Utopia, written by Thomas More from memory of Raphael's account. The correspondence at the beginning of Utopia, certainly set a particular tone that what was to follow had an element of truth, or plausibility about it. This technique has been used countless times since, Bram Stoker's Dracula just one example. However, there were various clues early on that More's novel was instead a work of fiction. Raphael's surname of 'Nonsenso', was a clue, as was the curiosity surrounding the location of the island of Utopia, and the story that just as Raphael was discussing it's location a colleague coughed loudly, and More missed hearing the details. Thomas More used the fictional novel as a means to discuss controversial topics and ideas at the time, in particular in relation to nobility and the class system in England. 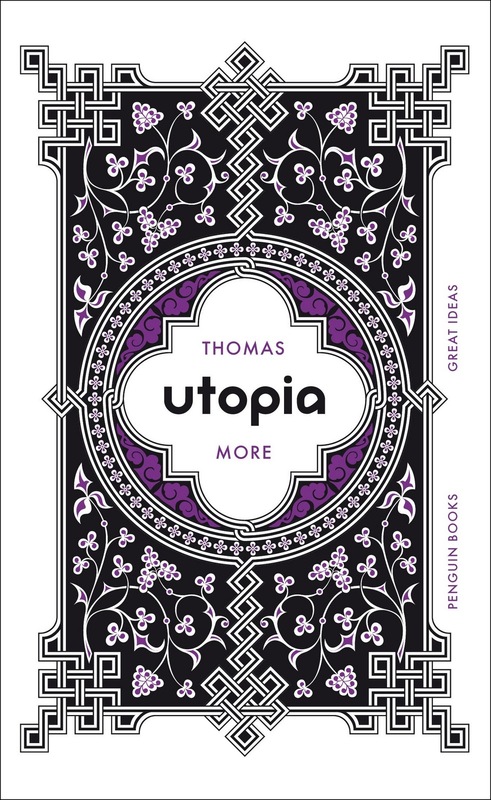 I thoroughly enjoyed reading Utopia, and I believe it is an accessible classic for almost all readers. I think it is just as relevant and as important a piece of literature today as it was 500 years ago. Have you read it and if so, would you want to live in Utopia? I haven't thought of this book since I left college. I had to read it for a couple of history classes. I agree that it is still relevant today. Glad you enjoyed it! Thanks, I wished I'd studied it earlier in life, and as part of a structured class at University; it would have been been interesting. That's funny, I wish I read it on my own and didn't have to "know" the material for a test. I might have liked it even more! The grass is always greener on the other side. I think the book may have been some sort of novelty, even a revelation, during the time it was published and a century or so afterwards. But given that there were slaves and that the setting is a single island, presumably having a different way of life compared to all others around it, that Utopia is far from ideal and desirable in our age and globalized world. A book now on Amazon and Createspace titled "Imagine - A Perfect Utopia" attempts to address current world conditions with ways to bring about a Now Utopia. Could you give your Four Bucks about it? I had a look at 'Imagine - A Perfect Utopia' and unfortunately I don't think it's a book for me, but thanks for bringing it to my attention. Sadly, I won't be able to give my Four Bucks about it but other comments from readers are of course welcome.